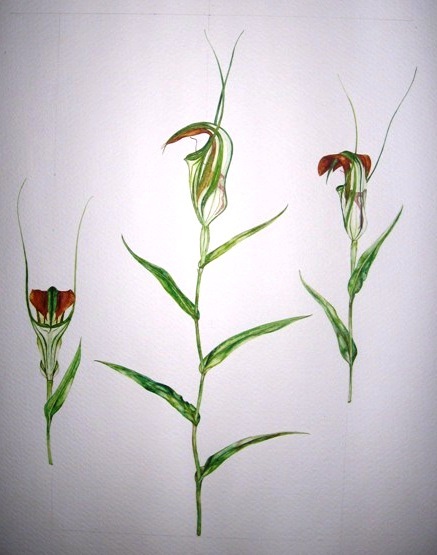 This painting was part of my Year 12 Art Major work, this particular orchid grows near where I lived in NSW. This is the third botanical painting I have ever painted. I enjoyed painting this flower as I personally like interesting looking flowers rather than 'pretty' flowers. In it's own way this flower is beautiful and strange at the same time.